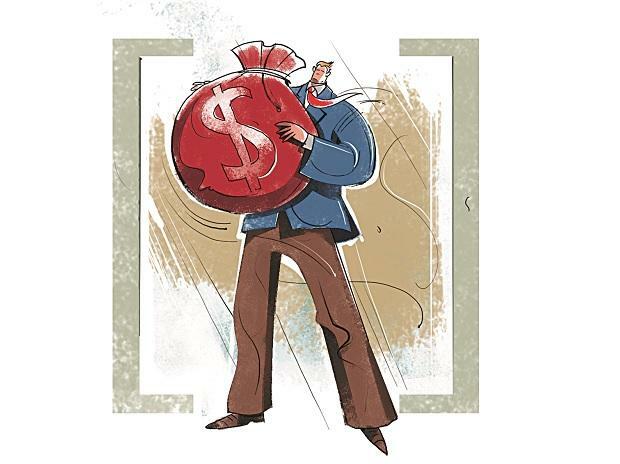 Foreign portfolio investors (FPIs) have upped their ante against a circular issued by the market regulator, Securities and Exchange Board of India (Sebi), on beneficial ownership of offshore funds. At least a dozen FPIs, including Amansa Capital, Helios and Morgan Stanley Asset Management — which operate from outside India but have links to the county — wrote to the prime minister, finance minister and Sebi, saying that the move will hit a third of the overseas assets in the country. According to Asset Managers Roundtable of India (Amri), such funds account for assets worth $75 billion in India. They would be forced to unwind their positions by December if the regulator does not provide relief. "It is preposterous and highly irresponsible to claim that 75 billion dollars of FPI investment will move out of the country because of SEBI's circular issued in April 2018," said Sebi in a statement. The circular will affect not only boutique India-dedicated funds founded by non-resident Indians (NRIs), but also some of the funds managed by top global institutions who have appointed NRIs or even a person of Indian origin (PIO) as their fund managers. “The Sebi circular clashes with the stated objective of the government to encourage more offshore fund managers to relocate to India. The fraternity is not wary about disclosure of the end-beneficiaries. The real issue is that it places severe restrictions on FPIs being managed by PIOs or NRIs. Both Sebi and the government should take cognisance of several genuine funds that would be affected by the circular,” said Nishith Desai, founder, Nishith Desai Associates. Market participants said if there was no clarification from Sebi, several FPIs would be forced to unwind their positions to comply with the provisions. It could even lead to a panic in the markets, they added. “The circular implies a virtual blanket ban on NRIs and PIOs operating FPIs. If the issue is not resolved, about $75 billion worth of investments will need to be unwound in a short period, causing a stock market crash and a sharp fall in the rupee. We hope that the authorities take cognizance of this issue and intervene immediately,” said Nandita Agarwal Parker, managing partner, Karma Capital Management, a hedge fund. Sebi’s FPI regulations prohibit any PIO or NRI from being the beneficial owner (BO) of an FPI. Such entities are allowed to obtain an FPI licence on condition that they act only as investment advisors and do not invest. FPIs have been building up pressure against Sebi’s circular in the past three months. Following the backlash, the regulator postponed the applicability of the circular from September to December. It has also referred certain concerns raised by FPIs to the H R Khan-led committee, which is working on recommendations for improving the ease of doing business for FPIs. Until now, economic ownership has been the primary criteria for determining the BO of an offshore fund, which means an entity owning a majority stake in a fund was considered BO. But, in the new circular, Sebi asked FPIs to determine ownership on the basis of both shareholding and control. In this context, “control” means the right to appoint and remove directors, along with other administrative rights. India-origin fund managers don’t own any controlling stakes in the funds they run but are in control. Hence, the structure becomes impermissible in accordance with the new Sebi circular. Another key provision of the circular was the concept of “high-risk jurisdiction”. The market regulator had asked the custodians to prepare a list of jurisdictions whose domestic money launderings and tax laws were not in sync with the global standards. Sebi had also clarified that funds operating from these jurisdictions would be subject to more rigorous know-your customer (KYC) norms and lower ownership thresholds. In normal cases, any entity which owns 25 per cent or more in a fund is considered BO. However, if the fund operates from a high-risk jurisdiction the applicable threshold is 10 per cent to 15 per cent, depending on how the fund is structured. This would force several fund managers to divest their stake in the fund to comply with the circular. “The circular is very sweeping in its impact and could impede genuine investment activity. What is needed now is broad-based consultation with the industry so that the commercial realties and practical aspects are well considered before issuing final direction,” said Tejas Desai, partner, EY India.